Just press the secret leaf to open this handy wrist habitat. 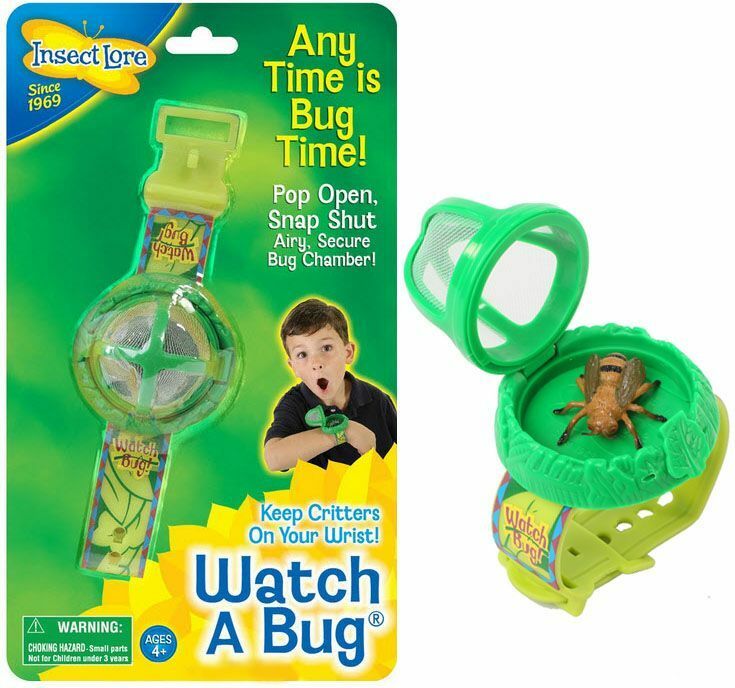 Kids can view their bugs up close and then pop open the Watch-A-Bug when its “time” to let their critters go! The breathable, see-through mesh canopy allows kids to “watch” their bugs. The strong and secure bug chamber floor is made of high impact plastic. Watch-A-Bug clicks tightly shut so you won’t find your critters in unexpected places! One size fits all. Insect figure included. Recommended for Ages 4 and Up with Adult Supervision. “Watch” your bugs, then let them go!